LEAF Officers, Ray Foley and Niamh Ní Dhúill, attended the Native Woodlands Conference in Delgany, County Wicklow, April 30th to May 1st. 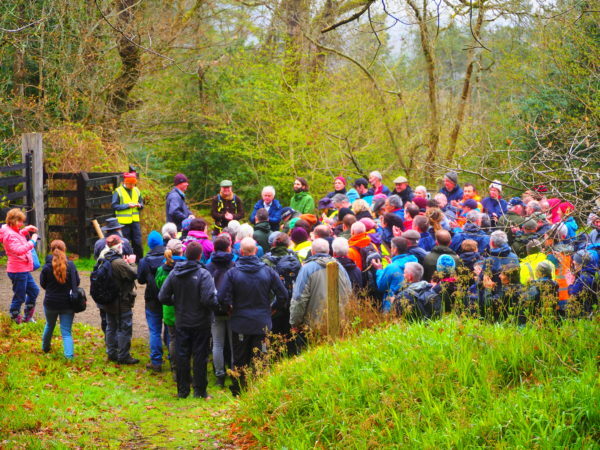 The conference brought together academics, foresters, government departments, land owners and other stakeholders with an interest in restoring Ireland’s native woodlands. The conference consisted of talks and site visits, including a trip to the People’s Millennium Forest, where the trees are now over 20 ft tall. The topics discussed included; the role of trees in protecting our waterways; the importance of hedgerows for pollinators; and a fascinating talk on the realities of collecting native trees seeds, from Lar Behan, of None So Hardy Nurseries. In the past, Lar has donated trees to the LEAF programme, it was great learning about the process involved in collecting the seeds and caring for them till they have turned into young trees and are ready for distribution. Throughout the conference, a similar theme kept arising, the need to communicate the importance of our native woodlands to the wider public. We hope, through the LEAF programme, we are playing our part in this important job.